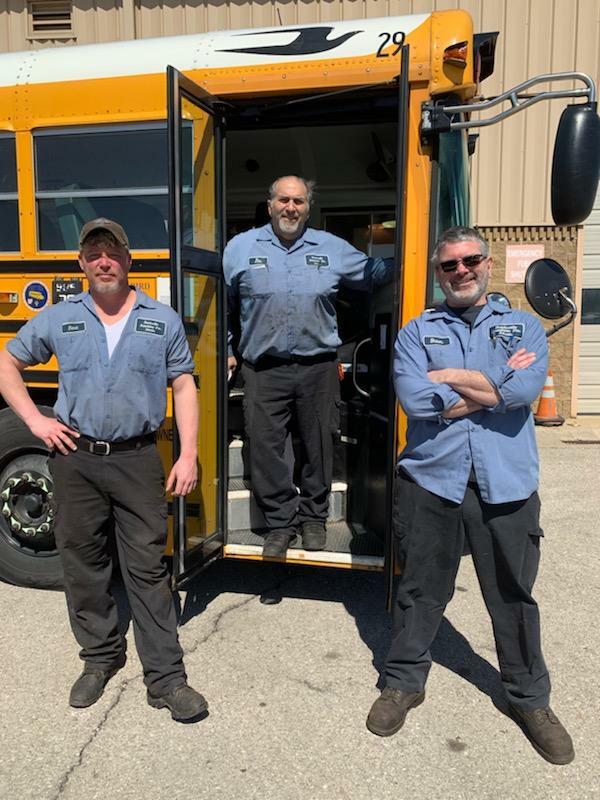 The tenacity, hard work and skill of the Brecksville-Broadview Heights City Schools Transportation staff was on full display recently, as 18 out of 18 buses evaluated passed the routine inspection from the Ohio Highway Safety Patrol. The recent evaluation marks the first of three that take place during the calendar year, where approximately one third of the fleet is reviewed during each inspection. Inspectors look at every aspect of the vehicle inside, outside and underneath for proper maintenance and general upkeep. Every single bus evaluated must meet the same specific criteria, despite age or condition, in order to be compliant with the State of Ohio Highway Patrol regulations. Inspectors confirmed that all 18 buses evaluated passed with flyer colors. The transportation staff of the BBHCSD takes great pride in the general upkeep and maintenance of the entire bus fleet throughout the year, including the performance of their own pre-inspection evaluations. Congratulations to the hard working transportation staff of the Brecksville-Broadview Heights City Schools for this great accomplishment!